Are you doing everything you can to protect your vision? 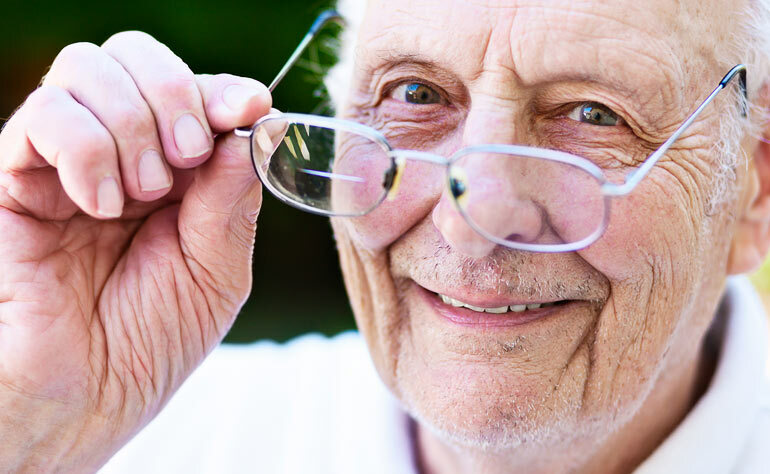 As people get older, changes in eyesight are common. Starting in our 40s, we might notice that our eyes feel drier, colours look less vibrant or it’s harder to read small print, according to the Canadian Association of Optometrists. Cataracts form when the clear lenses of the eye become cloudy, causing vision to become blurry, hazy or foggy. Cataracts also cause decreased contrast sensitivity, affecting a person’s ability to drive at night. Cataracts are removed with a simple procedure that replaces the lenses with implants. “People go from not seeing to seeing the same day,” says Dr. Penny. The surgery takes about 15 to 30 minutes per eye, with a few days or weeks between the first and second procedures. Glaucoma is a group of diseases that affect the optic nerve. The most common, primary open angle glaucoma, causes fluid build-up and increased pressure in the eye. People usually don’t know they have it – the condition is painless, and vision isn’t affected until the disease is advanced. By then, the damage may be irreversible; if not treated, glaucoma can lead to blindness. The causes of glaucoma are not well understood, but it’s believed that age, family history, medical conditions (such as diabetes and heart disease), corticosteroid use and prior eye injuries are risk factors. People at higher risk of AMD include smokers, seniors, people with a family history of the disease, and those who have had a lot of exposure to ultraviolet rays and blue light from digital devices such as computers and phones. Some health conditions, including high blood pressure and arteriosclerosis, are linked to AMD. “Humidifiers help, definitely, and so does drinking lots of water. Caffeine is a natural diuretic, so cut down on tea, coffee and cola, and drink decaf instead. Some herbal teas, like chamomile, are also diuretics,” says Dr. Penny. If you take diuretic medications (for example, to manage blood pressure), increase your water consumption.